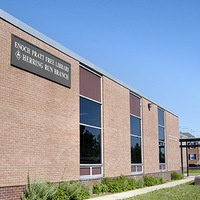 The Herring Run Branch is located adjacent to the Erdman Shopping Center, in the Belair-Edison community. It's just around the corner from Herring Run Park, and down the road from beltway 95. Explore new and creative ways to experience STEM and fairy tales at four themed stations. Information about real estate agents, down payments, grant and loan programs for first time homebuyers. Presented by Belair Edison Neighborhoods, Inc. Thank you to Ms. Erica for hosting such an event; she created a safe space which allowed newbie to skilled artist create as they desired. I truly appreciate her positive energy and encouragement. EVERYTHING IS ART! I love it, perfect type of yoga for someone who does know a lot of the poses and very tight muscles. Definitely recommend. Loved that it was geared towards Beginners. Would attend again. Even though this was a teen course, this adult enjoyed making a keychain that matches my car. The class was very informative on how to use the Foundation Directory. The instructor, Anna, was excellent!